This summer’s trip is planned for July 19th-28th. We will leave Silverdale on the morning of the 19th and drive to Camp Lutherhaven in Idaho for a two-night stay at this amazing camp. 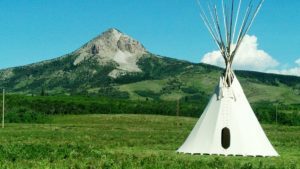 The next day we will trek to Heart Butte, where we will stay in the local school and make a daily drive up the mountain to accompany tribal elders and others in building a lodge for the Sundance. Our evenings will be filled with a combination of free time, meals, worship, and games, but we will also get a chance to dance with the family of an elder in the community who will also share her journey as a Christian using her traditional ways to deepen her faith. Toward the end of the week, we will have the chance to participate in the Sundance, set up and camp out in a teepee, and experience community on a whole new level. We will also make a trip into Glacier National Park for an unforgettable hike. We have great trips because we prepare, and part of that is gathering about every other month for planning, updates, and devotions. Fundraising is also a must as it not only helps defray our costs, it also builds our group’s togetherness. Cost is $300, with one deposit due by January 27th, and the other in April. Please select your race/ethnic origin. Identify the emergency contact person. Identify cell phone number of emergency contact. 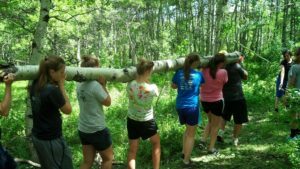 Input the dollar amount for [Youth Mission Trip]. Cost is $300. Scroll to the bottom and select [One Time] under donation frequency. Follow the onscreen instructions to make a payment for the event.